Veemarktterrein a few years ago. Not full, but quite a lot of cars were parked here. For many years, the Veemarktterrein a few hundred metres east of Assen city centre offered free car parking. Anyone could park their car here for as long as they wanted free of charge. The attraction of free parking wasn't enough to make people drive when they had a better alternative so though it was free of charge, this car park almost always had spaces in it. This area on the edge of the city had a valuable benefit for cyclists because it helped to keep cars out of the city centre streets. The same car-park this week on market day. 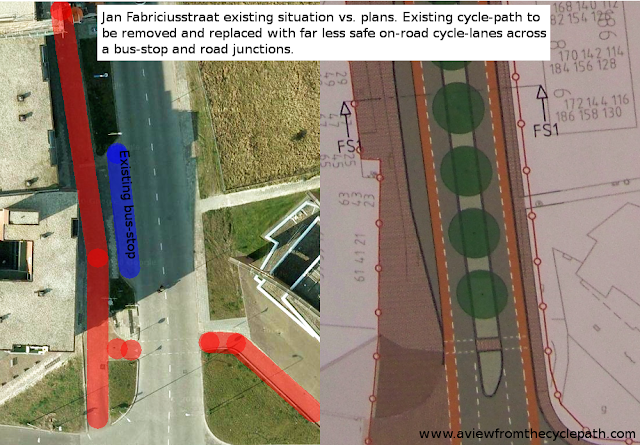 The cars haven't disappeared - they are now driven further into the city causing consequences for cyclists. The policy on car parking changed at the beginning of this year. A charge of €1.30 per hour was imposed for parking in this previously free car park, with a limit of €5 per day. 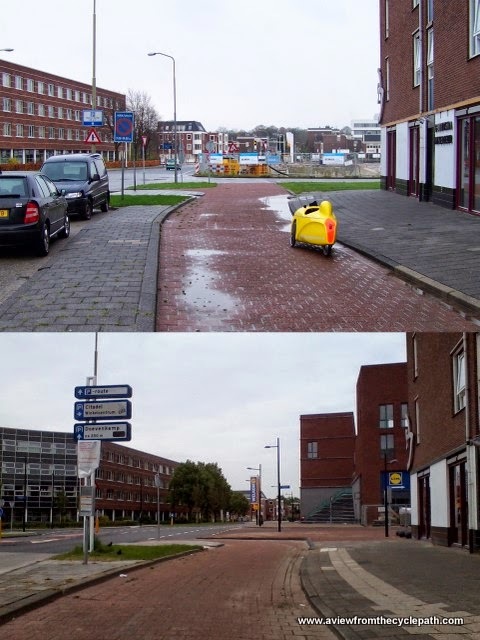 At the same, car parks in the city centre which were already the cheapest in the Netherlands had their maximum charge halved to just €6 per day. The result of this policy is that the out of town centre car park is no longer attractive to drivers so they continue right into the city and use multi-storey car parks which were previously often largely empty. The result is many more cars are driven into the centre of Assen and this causes more conflict between motorists and cyclists. been made more popular by the change in policy. 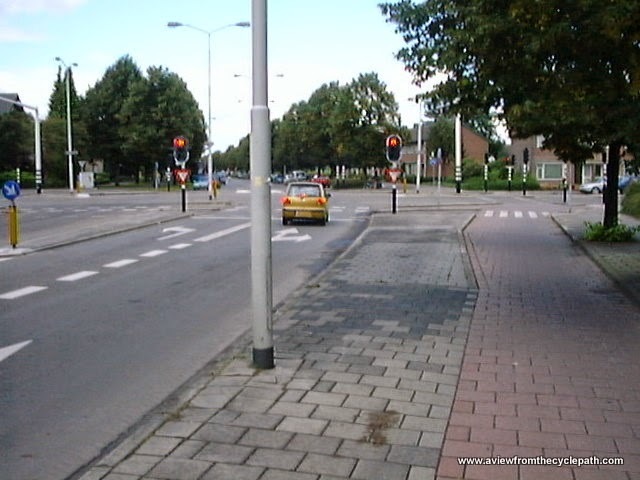 as dangerous to cyclists in the Fietsverkeernota 2005. 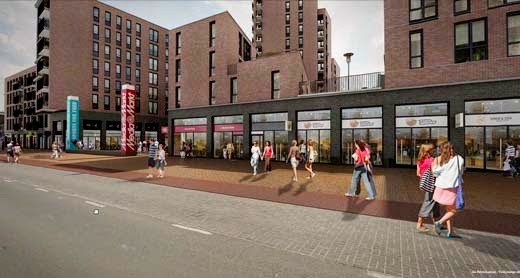 Because the city centre car parks are reached by driving along the inner ring-road, extra motor traffic is being generated along the streets which make up the ring. Locations along this route have long been known to be problematic for cyclists. 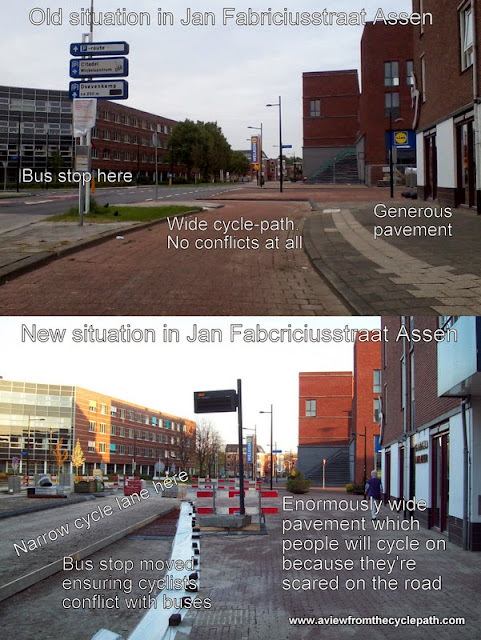 Several of them were pointed out as being dangerous to cyclists and in need of improvement by the Fietsverkeernota of 2005. 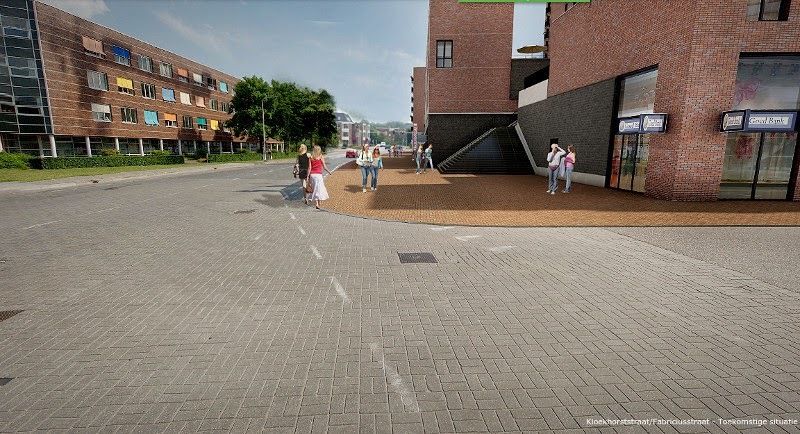 "Parking in demand - Gemeente Assen policy bearing fruit"
The result of encouraging drivers to bring their cars further into Assen is now known. There's been an attempt to spin this as success, but actually it's no such thing. The change in policy is not good for cyclists, drivers, shop owners or the local economy. Two articles appeared in the same February issue of one of our local newspapers. I've reproduced them both here. "Income reduced - cars park for less time"
It is true that drivers now use the paid for parking spaces more often than before, but this has actually resulted in a fall in income for these garages because drivers now stay for shorter periods in order to avoid paying. What is happening is that people drive to the supermarket, pick up a card allowing them to park for free for three quarters of an hour and then they do their best to avoid overstaying such that they have to pay more. 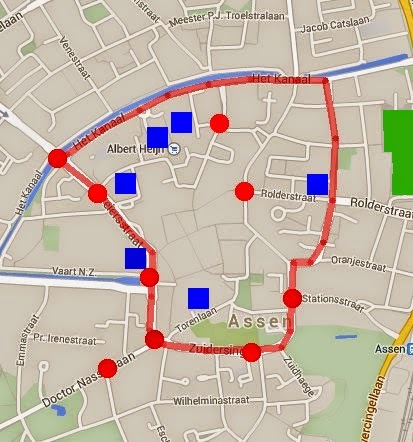 Fewer people now drive to Assen, use the free parking, and remain for the entire day. The result of this is that local shops other than the supermarkets have almost certainly lost customers due to the change in policy. 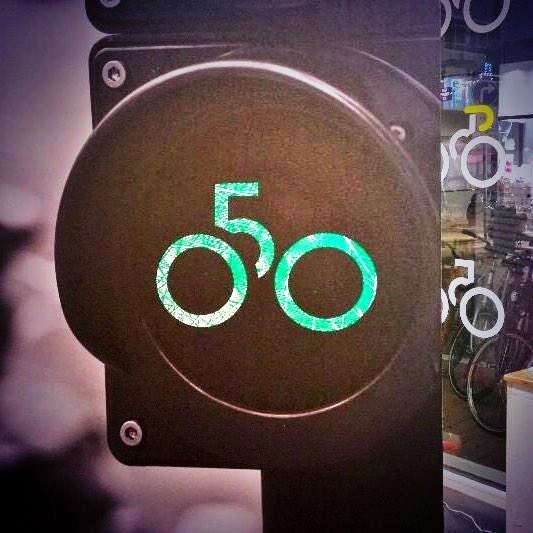 Cyclists are annoyed and endangered because more cars come to the central streets.